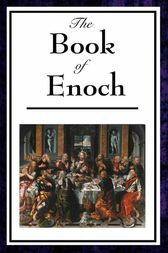 The Book of Enoch is the most notable extant apocalyptic work outside the canonical Scriptures. It describes the fall of the Watchers, the angels who fathered the Nephilim (cf. the bene Elohim, Genesis 6: 1-2). The fallen angels went to Enoch to intercede on their behalf with God after he declared to them their doom. The remainder of the book describes Enoch's visit to Heaven in the form of a vision, and his revelations.